One of Iceland’s most famous attractions is an old airplane wreckage. We can thank pop star Justin Bieber for making it world famous after he skateboarded on top of it. The wreckage was of course a popular place to visit before the pop prince released the video for his single I’ll Show You in 2015, featuring the aforementioned plane wreck. But nowadays this place is on every other traveler’s itinerary. And for good reason too! This is without a doubt one of the most iconic and haunting photo locations in Iceland. The story behind the wreck is that on November 24th, 1973, a United States Navy Douglas Super DC-3 airplane was forced to land on Sólheimasandur, black beach in the south of Iceland, after experiencing severe icing. All crew members survived but the airplane’s fuselage was abandoned. And on the beach it still stands, full of holes, missing its wings and tail. It’s not hard to get to Sólheimasandur and see the wreckage, but it does take walking some four kilometers from the road, since local landowners have banned access to vehicles driving on the beach. The black beach is located between Skógafoss waterfall and the town Vík. When you drive past Skógafoss you will cross a bridge and then see an access road to Sólheimajökull Glacier on the left. Pass the road sign and keep driving east for about 2 kilometers. Then you should arrive at a dirt road turnoff with a gate to your right. Turn right, park your car and stroll down to the beach. Remember to bring good shoes! And remember, if you drive over a second bridge on your way to the turnoff, you’ve gone too far. Have fun and take lots of pictures! 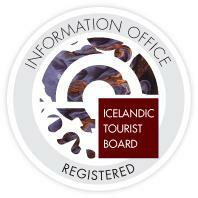 Share them with us at #mustseeiceland and let us enjoy the experience with you.